Client AR Kennedy, the author of a mystery series and the recently released Saving Ferris, discusses how a musical can teach us about "show, not tell." I’m late to the party but The Greatest Showman has recently become my favorite movie. But I’m not a big fan of musicals so I didn’t see the movie until well after it’s theatrical release. My favorite song from the soundtrack is “Never Enough,” sung by Loren Allred. It’s a beautiful song but my favorite scene of the film is another one. It’s a class on “Show Don’t Tell.” The only words in the scene are the song. Yet each character (P.T. 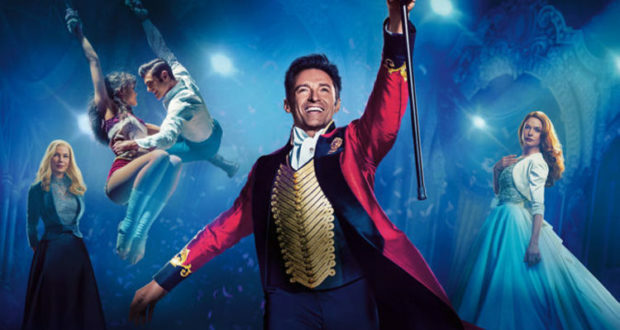 Barnum played by Hugh Jackman, Charity played by Michelle Williams, Phillip played by Zac Efron, and Anne played by Zendaya) shows us so much without saying a word. P.T.’s nervousness displayed by his fussing with his tux, looking up to heaven, and taking a deep breath. The smiles his wife and daughter exchange as they wait excitedly for the concert to begin. The way Charity fiddles with her hands as Jenny begins signing. The surprised smile P.T. gives as Jenny Lind gives him a coy look. The tentativeness with which Phillip and Anne hold hands. P.T.’s shock realizing how talented Jenny is and looking to the audience to see if they are hearing what he is hearing. Anne’s disappointment as Phillip pulls his hand away. Phillip’s sadness at the end of the song. Charity’s worry as she watches her husband watching his new talent. Small movements, glances, and breathing patterns told us what each character was feeling without any of them saying a word. To refresh your memory, see https://www.youtube.com/watch?v=kUkRoIMyqFo. Rewatching the clip makes me want to sing, dye my hair red again, and write a great scene! WHEN GRAMMAR GETS IN A MOOD! 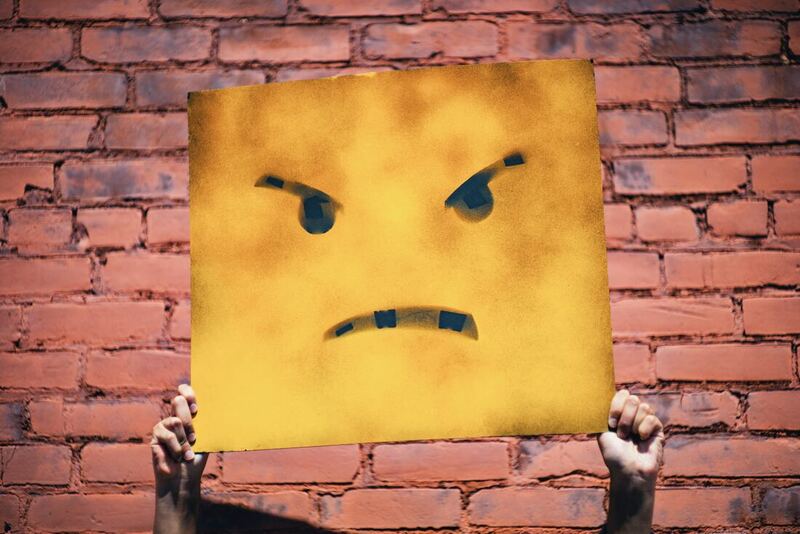 I hope you’re celebrating National Grammar Day, because if you’re not—well, let’s just say that grammar can get a little moody. She is a prize-winning author. Have a great Grammar Day! Did you have a good Grammar Day? We would throw a grammar party every day if we had the time. I should study my grammar book a bit more. Finally, there’s the subjunctive mood, which expresses wishful or hypothetical thinking. It is also used to indicate that something is being suggested or demanded. I wish I were a better author. It was suggested that he study grammar. If I were in charge, I would declare every day Grammar Day. Now go forth and celebrate on this fourth. ​Years ago, I started my writing practice like many other authors by crafting short stories. One of our most prolific short story writers, Anton Chekov, published 568 stories during his brief lifetime. I’ll never reach his level, but I try to write every day, one story at a time. I enjoy the short form because it forces me to ask what is really important to the story. Trying to squeeze setting, characters arcs, and a compelling plot within 3,000 to 5,000 words is an excellent exercise in minimalism. Writing great scenes is a craft that improves with practice, especially with short stories—all scenes need to pull double duty. Every scene in a short story needs to propel the plot forward. Every scene also needs to either reveal character or deepen the conflict. After writing "The Wayfinders," a short story about a Polynesian navigator sailing across the Pacific in 1054 CE, I came back to it over and over again. It eventually became the prologue of my first draft of Mauna Kea Rising, my debut novel published this month. I had thought it might offer a great context for the science fiction book. One of my favorite authors, Arthur C. Clarke, did this to great success. He took his 1948 short story, The Sentinel, and developed it into the screenplay for Stanley Kubrick’s 2001, A Space Odyssey. He then adapted and expanded the 1968 film into an award-winning novel. Sometimes novels need a prologue, even at the risk of damaging a little of their subtext. These may be scenes that offer complicated backstories that must be explained upfront in order for readers to understand what’s going on later in the book. They may also add to world-building in science fiction and fantasy novels. In Clarke’s 2001, A Space Odyssey, the prologue takes place thousands of years before the main event. It works because it provides the subtext for the story’s premise: human encounter with alien technology in the 21st century. The introduction also provides an important setup crucial to the main character’s arc. Yet, "The Wayfinders" didn’t fit well into my novel for many reasons. The 15,000-word prologue was bloated and forced readers to begin the story twice. The prologue started with two characters a millennium before the main plotline for Mauna Kea Rising and had little to do with the novel’s premise, a single mother’s struggle to survive the aftermath of an epic solar storm. It grabbed readers with a “fake” hook, wasting their time with extraneous material instead of allowing them to get into the real story right away. Despite my love for the story, I had to cut it. “Kill your darlings,” right? Well, not so fast. Although I dropped the prologue, I included a few of its ideas in Mauna Kea Rising as part of a frame-story technique—a story within the story. It became a plot device that prophesied the dangers faced by the main character. I also went back and edited the story, adding more conflict, shortening it to 5,000 words, tightening the character arc, and adding a twist at the end. This month, Torrid Literature Journal accepted "The Wayfinders" for their Spring edition. So, never throw anything away. You just don’t know when your old material might become useful. 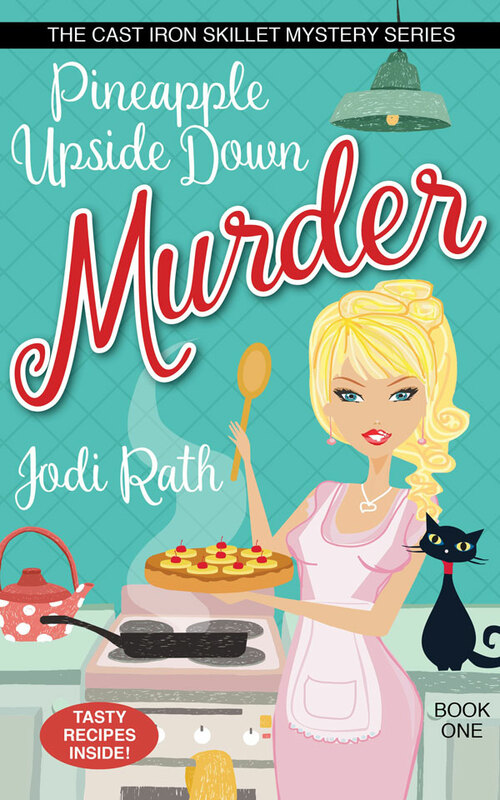 Client Jodi Rath is releasing her first mystery, Pineapple Upside Down Murder, later this month. Below she discusses how she has planned out the entire series already! Many indie writers who are new to the profession get so caught up in writing that first book that it becomes daunting to think about an entire series. I mean, we get to the point where we feel like it will be a miracle to finish the first book. I was that way for the first seven years I attempted to write Book One. Excuse me while I clear my throat . . . Yes, you heard correctly, ONLY seven years. Why seven years? Well, I could go on and on about everyday life, a full-time teaching job, and having no clue what I was doing, but the truth is I had zero direction. Does this mean you have to be a planner to write a book? Heck no, but if you have a destination and don’t know how to get there, you do need a map. It’s the same with writing a series. I would contend that it is immensely important to go into writing a series with a direction. I feel like I could be scaring some of you at this point. You may be thinking, “Well, I can’t even figure out Book One, so how on earth am I going to plan an entire series?” Excellent question! BTW: I would have hated the person who wrote I needed to plan out an entire series seven years ago when I started, so permission to cyberslap me! In all seriousness, though, don’t be afraid or discouraged. Can you think back to your high school English class when your teacher taught you about the elements of the story? You remember that triangle? (I was a high school English teacher, so no teacher jokes please.) I taught the triangle as a roller coaster ride, telling my students that when reading or writing a story to start with the foundation at the bottom, where they are boarding the ride and beginning to understand the story, with the exposition of who the characters are, where the story is happening, and what the initial problem is that they find. Once that ride starts rolling, they need to brace themselves, as they slowly chug up and up and up with the rising action, learning more about those characters and their faults, successes, and failures. Also, don’t forget that initial problem. That will help in understanding the plot as the rising action leads to the tippy-top of the ride, where we all find ourselves waiting in anticipation for the big climactic moment—we feel like we are hanging on by a thread and NO we aren’t sure we want to fall over that hill, but too late! We are now over the highest point of the ride and are going forward into the falling action, where we now know our characters and setting better. We are rooting for some and hating others and enjoying the little village they live in, wishing we lived there too, but there is still that dang problem from the beginning back at the exposition, when the ride started. That problem is like a bullet that penetrates the body and expands and explodes, with fragments of that problem flying everywhere, and we need our protagonist to figure this out. We need a satisfying resolution. See what I mean? A story is a wonderfully exciting ride we choose to go on when we read or when we write. Now, you are probably asking, “What does this have to do with planning out an entire series?” Again, great question! You were obviously a top-notch student in school! The first thing I had to figure out was what type of cozy series I was writing. My grandma gave me her seventy-year-old cast iron skillet for Christmas, and she had only ever made pineapple upside down cake in it. So that helped me determine the title of my series and the title of my first book. Once I had both of those, that gave me even more direction. I had a blast playing with titles that tied into food made in cast iron skillets, murder (and other malicious habits some humans obtain), and my characters. From there, that duh—or AHA—moment sunk in with Freytag’s pyramid. Fourteen books, a nice even number, allowed me to start with Book One, in which the village setting and the main characters take the stage. Then Books Two through Six have an overarching theme that has rising action leading to a climactic moment that happens in Book Seven. Can you guess what Books Eight through Thirteen do? That’s it, again—gold star for the best student—falling action, leading to Book Fourteen, in which there is the resolution for the story. Once I had that overarching theme and the titles, I created a document in which I listed out the titles and wrote a quick sketch (two to three paragraphs) about possible plots for each book while building on that overarching theme. Keep in mind I use the word “possible.” I still have to write each book, and there is room for changes as I move from one book to another. At least, at this stage, I have a detailed map that helps to hurl me forward at the end of each book. That was a general description of how I moved from writing Book One to planning for a fourteen-book series. Feel free to contact me at jrath@columbus.rr.com if you have more questions or go to my website at https://www.jodirath.com to sign up for my newsletter and follow me on social media. When I’m editing, one of the issues that often arises is the size of both a manuscript and of individual chapters. If you’re writing a novel for the first time, make sure you know the expectations of your genre. Dana Isaacson, an editor and ghostwriter, has some genre word counts here. Writer’s Digest also has the same here. 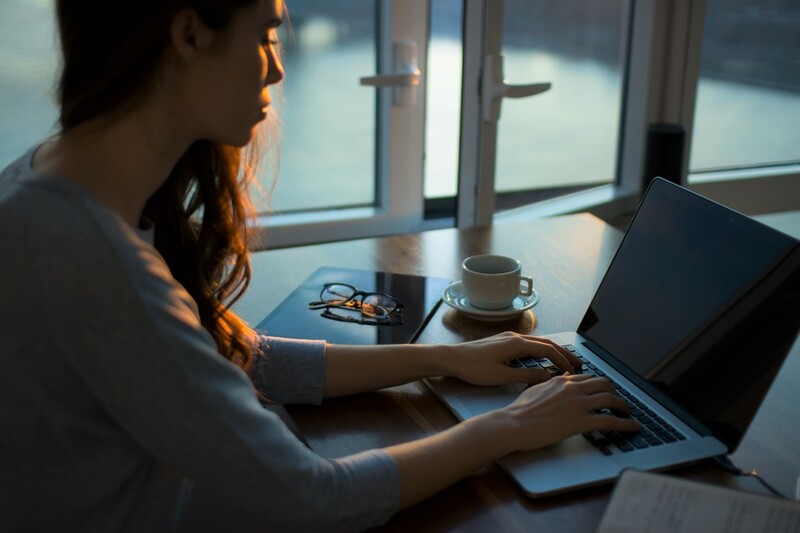 You may have written a brilliant novel, but if the word count is double or triple the size of regular novels, and your name is not Stephen King, chances are you’ll have a difficult to impossible time finding an agent or publisher. Big novels are costly to publish; each page equals a certain amount of money. Yes, Stephen King writes huge doorstoppers, but he’s guaranteed to bring in sales—big sales. The same can’t be said for an unknown author—or even a previously published author whose sales have been decent, but not spectacular. If you are a newer author, experts say a safe bet is in the 90,000-word range. Literary agent Paula Munier has a good post about that, including how many words should be written per act. If you are self-publishing, you can bend these rules. Of course, publishing a print book that is 500 pages will be much costlier than publishing a 300-page book. To make money on a lengthy print book, you’ll have to raise the price. Ask yourself some hard questions: Will readers buy a print book that costs this much from an author they have never read? Will you be doing book signings and other events with print books (which necessitates you first paying for these books)? Or will you be mostly promoting the ebook, which is not affected by length? Another place where size comes into play is chapters. I’m often asked about chapter lengths. If you are writing a thriller, or any other fast-paced story, you might want to keep your chapters very short—what editor Shawn Coyne calls “potato-chip scenes.” Most of us can’t eat just a couple of potato chips. You start and, before you know it, the whole bag is gone. Don’t worry too much about these lengths during the writing process. But, once you are revising, go back and reconsider long scenes and chapters, as well as the overall length of the manuscript, especially if it is too short or too long. Make sure you have the appropriate number of words in each act. Keeping to the right lengths often fixes issues of pacing and will keep readers hooked. Do you create a character bible or character style sheet when writing your story? As an editor, I find these invaluable and create one myself if I don’t get it from the client. More than a few times, creating one has shown me duplicated names or inconsistencies in the story. You may want to create one as a writing tool, especially if you are writing a series. Names, obviously. Sometimes, authors use the same name for two characters without realizing it (maybe one is a minor character, who only appears once or twice). Similar-sounding names also can be tricky. I’ve found reviewers who have chastised writers for using sound-alikes: Bibi, Bobby, Bonnie, and Beca in one book, and Braddock, Brewer, Breyer, and Butler in another book. For the reader, who has to memorize all these new names as they enter your fictional world, this can be confusing. Their bio. Here, you may want to note the characters’ backgrounds and ages. Maybe the description doesn’t even get into the finished manuscript, but it will inform how you portray this character. Include where they were born, siblings, pets, jobs, and how they are related to the other characters. Physical characteristics. You don’t want a character who has blue eyes on page 3 to suddenly have brown eyes on page 123. Noting the physical description helps. Some of my clients have added photos of actors to illustrate what their character looks like—almost like you would do if pitching a film. What they wear. 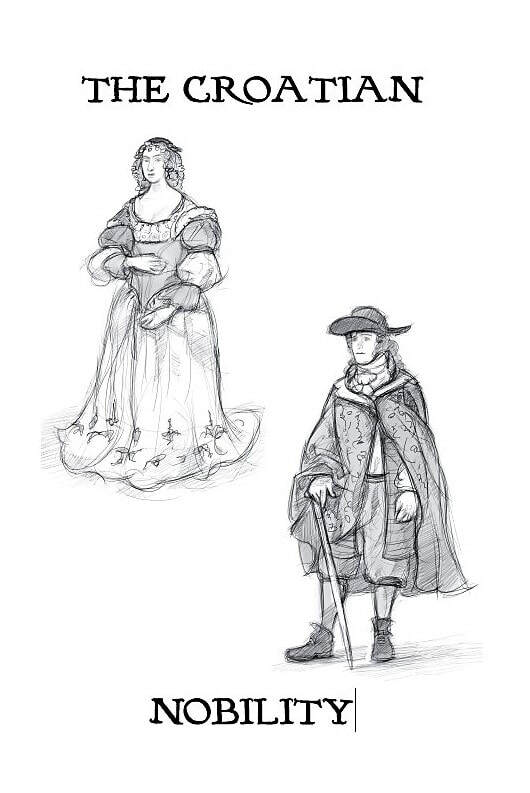 The sketch included here is from books by client Jillian Wiseman-Bald, who has written a wonderful historical fiction trilogy. She had an artist, Jeff Meyer, complete the sketches and she uses them in a character list included in the books. The character list she provided was incredibly helpful when it came to this series, but I also loved looking at the sketches, which depict how the different classes dressed. A piece of clothing can also be an important thread throughout a series—Sue Grafton’s protagonist, Kinsey Millhone, is not one to dress up and owns only one all-purpose, wrinkle-proof black dress, which was used to great effect throughout the series. One of my copyediting students noticed that in a published book a character was suddenly wearing different clothes in the same scene, without any mention of a clothing change. So you may want to make note of this as well. What they eat. Is your character a gourmet home cook, like Robert Parker’s Spenser? Or do they only have time to drive through the fast-food lane? Do your characters often meet over chicken fried steak at a neighborhood restaurant? Character goals, wants, and fears. This is important for the main characters, as their narrative arc usually drives most stories. This may seem like a lot of work, but you’ll be happy you did this, especially if you’re writing a series. You don’t want to mess up and say your protagonist has a dog named Fido when she really has a cat named Fluffy. And, if you’re writing a longer book, these can be condensed into character lists for your readers. They’ll thank you, too! DO YOU NEED A PROLOGUE? Should you or shouldn’t you have a prologue? This is a question I’m asked often. Although some in the industry advise writers to avoid prologues, I like them—when they are done right. A prologue should be intriguing, something to hook the reader. It should not be written only because the first chapter is dull. Oftentimes, I hear authors say they want a prologue in order to start the story with something exciting, and I think that’s the wrong approach. The first chapter should grab readers as much as any prologue would. The right approach is to use the prologue as something that is essential to the story, or something that will become important later on. It was still dark when the first three or four of them sidled out of the hovels, quiet as cats in their felt boots. A thin layer of fresh snow covered the little town like a new coat of paint, and theirs were the first footprints to blemish its perfect surface. They picked their way through the huddled wooden huts and along the streets of frozen mud to the silent marketplace, where the gallows stood waiting. As the first line indicates, this prologue is about the hanging of a man in a public square. The sense of dread increases in the second paragraph through Follett’s word choices—the darkness, the blemish on the snow, the silent marketplace, and the waiting gallows. The people shrank from her in fear: everyone knew that the curses of those who had suffered injustice were particularly effective, and they had all suspected that something was not quite right about this hanging. The small boys were terrified. Not only does the prologue open with great narrative tension, but the reader immediately knows the curse will be important to the story. In fact, this opening is crucial to Follett’s epic historical novel. And the prologue is only two pages long. 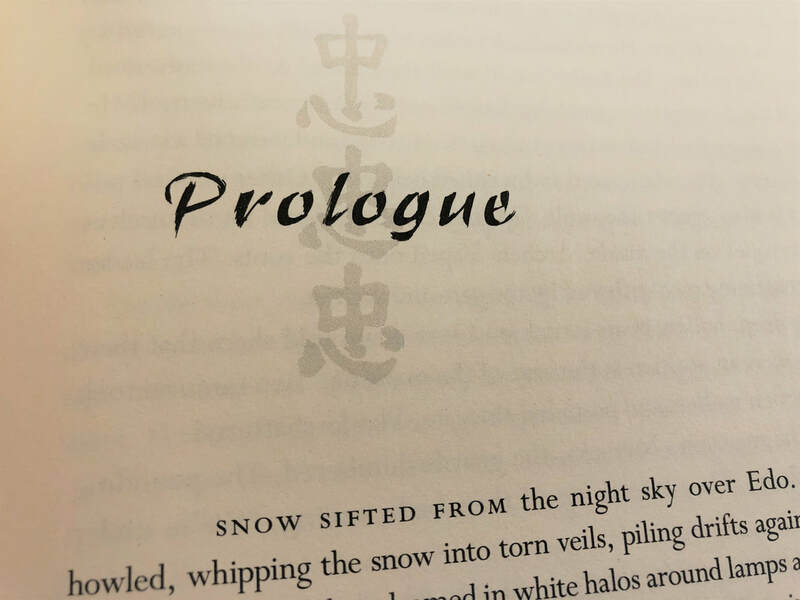 Another tip for prologues: keep them short! At some point in our lives, we all face rejection—whether in love, a job we really wanted but didn’t get, or that time we ran for student government president and lost. We tend to pull back for a while and lick our wounds. But for writers, rejection may be constant, especially if they are sending out query letters. The odds are against you from the beginning—some agents only take on two to five new clients a year, yet receive tens of thousands of queries a year. Stephen King’s first novel, Carrie, was rejected 30 times (I bet those agents and publishers are kicking themselves now). Even J.K. Rowling has famously published rejection letters she got as Robert Galbraith, her alter ego. One of the letters even recommended she take writing classes! I could go on and on; there are dozens of other examples. 1. Don’t give up too soon. Nora Roberts, who has now published more than 130 novels, submitted manuscripts for over a year. New York Times bestselling author James Lee Burke, who has 37 books published, was rejected 111 times over nine years when he queried with The Lost Get-Back Boogie. When it was finally published by Louisiana State University Press in 1986, it was nominated for a Pulitzer Prize. 2. Follow the rules. If the word count for your genre is from 60,000 to 80,000, don’t send in a 180,000-word manuscript. Agents will automatically assume you can’t write tight or don’t want to cut your darlings. And a debut novelist is not likely to have such a behemoth of a novel published. It’s costly for publishers to put out big books—they don’t have an unlimited budget, so the big bucks are going to the Stephen Kings of the world (and even King advises to cut your darlings). 4. Learn from the rejections. If you aren’t getting requests for partial or full manuscripts, ask yourself some hard questions—or have beta readers or an editor look at your manuscript, if you haven’t already. If there’s a theme running throughout those rejection letters, then it’s time to revise the manuscript. For more on queries, see my book, Publishing for Beginners: What First-Time Authors Need to Know (free if you sign up for my newsletter). Don’t make fun of obvious typos, especially in a public forum. Everyone makes them, including editors. Recently, someone sent out an email to a group, making fun of a typo as she attacked someone. Interestingly, her own professional website has a huge, glaring, and ridiculous typo. Pointing out typos makes you look petty and obnoxious. I feel so strongly about this that I made it No. 1. Be patient, be helpful, and be kind. This may be hard, especially when you are dealing with a difficult client—believe me, I know and I’ve lost patience at times. But, as an editor, there are times you may need to put yourself in a writer’s shoes. See it from their perspective. Push your writers to be their best, but not in an assertive, I-know-it-all manner (see No. 2). One of my clients once told me that her previous editor made her cry. She was happy that I was tough, but also gentle. Be flexible. Language is always changing, and an editor must bend with those winds. Dictionaries and style manuals are constantly updated, so a good editor is always learning and growing. Holding on to those old style “rules” is an ineffective use of one’s energy, as is insisting on a certain style decision that makes little difference to the prose—even The Chicago Manual of Style, in the preface to its 16th edition, wrote: “Rules and regulations such as these, in the nature of the case, cannot be endowed with the fixity of rock-ribbed law. They are meant for the average case, and must be applied with a certain degree of elasticity.” It’s more important to make the writing clear, accurate, and accessible. Remember the reader. While an editor may work for a publisher or individual author, the end process is producing something the reader will want to read and will understand. In many ways, we are an advocate for the reader. As an author, you are always juggling. Not only are you writing the next book, but you are promoting your latest book, writing a monthly newsletter, keeping up with your blog (or other blogs), and updating your website. And that’s just for starters. Marketing, from writing press releases and newsletter to coordinating contests and giveaways. Some virtual assistants have graphic artist experience and can create the promotions for you. Social media management. VAs will handle social media accounts on Facebook, Twitter, Goodreads, Instagram, YouTube, etc., creating content and replying to comments. Scheduling. An assistant can help you with whatever you need to schedule, from speaking events and book signings to blog tours. Website and blog management. VAs may update websites as needed (new books, events, photos of you, etc.). They can also write content for your blog, or help you by brainstorming ideas. Database administration. If you need to maintain any sort of database—for NetGalley requests, Goodreads giveaways, newsletter signups, etc.—an assistant can keep track of these. Online research. Some assistants do research and fact-checking. Other assistance. 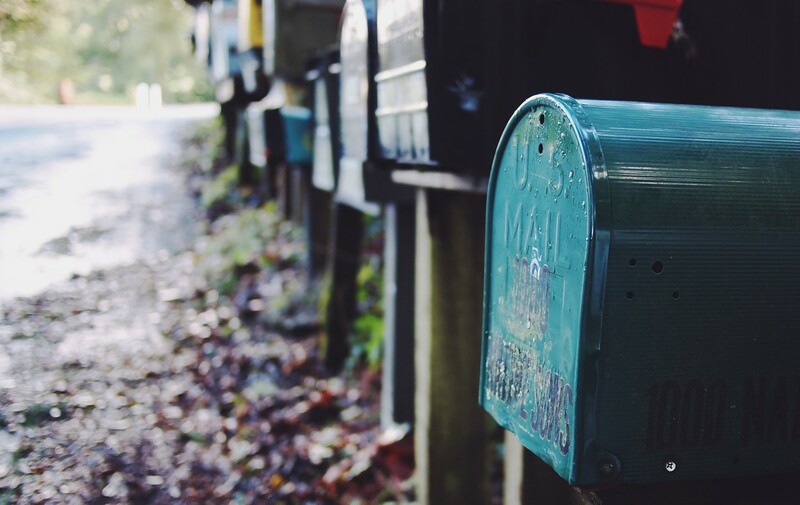 This can include monitoring email, sending out cards and letters, ordering supplies, and making travel arrangements. Depending on their skills set, some offer book formatting services. Most authors seem to use virtual assistants to develop marketing plans and run promotions. You could, as an author, do this on your own. But experienced virtual assistants have already done this for other clients and know how best to promote your book. Most virtual assistants charge $25 to $50 an hour for their services. You don’t need to hire them full-time, although you can. You may need them just for a few hours a month, or to work on a specific project. If you know that you will have to promote your book (because your traditional publisher only does so much, or you are self-publishing), then your VA can help you come up with creative promotions. For example, Looney, who works with mystery author Kate Carlisle, designed a custom deck of cards for one of Carlisle’s books. Each face card held a different murder weapon. It was used for a giveaway for members of Carlisle’s mailing list. In addition, Looney created a video revealing each day’s random winner. It was so popular that “she had a lot of readers asking if they could buy the cards,” Looney said. Another assistant, Amanda West Kassis, who also works as an editor, focuses on publishing weekly newsletters and growing subscribers. “I am in the publishing industry, which gives me unique skills and knowledge,” she said. 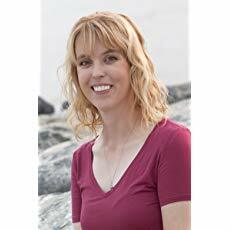 She will help an author post on social media, write newsletters, and do other marketing. Is it worth hiring a VA? You may have written a wonderful book, but it won’t go anywhere without marketing. And marketing may take away time spent writing the next book, which is crucial in a series. Most virtual assistants said this is the beauty of having help—the author can concentrate on the writing. She can’t say how much her work has helped with sales, but pointed to a recent Facebook promotion she did for an author. Her work resulted in an immediate increase in clicks. An author first needs to consider the budget and her priorities, said Jolly. Most of her authors only need her for five or so hours per month. “We all wish we could outsource SO MANY THINGS, but the reality is that we have to start small and outsource just one or two things at first,” Jolly said. “That’s best for a small budget and for building trust. “Quickly, let’s talk quickly about math. Let’s say an author can afford to hire an assistant for 10 hours/month. That’s 120 hours per year. How many more words can that author produce with an additional 120 hours per year? Let’s estimate low and say that’s one additional novella per year. One author, Susan Mallery, has worked with Looney for nine years and considers her indispensable. As an example, she mentions her latest book, Secrets of the Tulip Sisters. Looney created the content for TulipSisters.com, sent 200 copies of the book to a “Review Crew,” created a sign-up form for mailing list members to receive bookmarks, then sent out the bookmarks to 30,000 fans (Looney also designed the bookmarks). In addition, she created quote-of-the-day shareables with quotes from the book, created videos and graphics to use in Facebook ads, and executed the Facebook campaigns. During all this, she coordinated with Harlequin’s PR and digital marketing departments on the book promotion. All of the virtual assistants agreed that you should have a conversation with potential hires about what you need, as VAs have different specialties. Special thanks to the following virtual assistants for their help: Naomi Cowan Eaton (eaton.naomi@gmail.com); Mel Jolly (www.authorrx.com); Sarah Merchant (www.workadayservices.com); Jenel Looney (www.jenellooney.com); and Amanda West Kassis (www.awestediting.com).